Today ONLY (3/24) - HP - AMP 100 Wireless Instant Ink Ready Printer with Bluetooth Speaker $69.99 (Retail $99.99)! 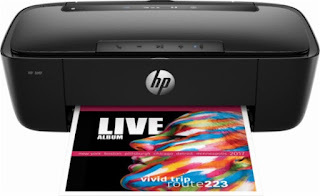 Pair mobile devices for printing and music streaming with this HP AMP wireless printer and speaker. It produces up to 7.8 ppm black and 5.5 ppm color prints, and its Smart Amp technology lets you enjoy high-quality audio playback. Charge a compatible gadget via the built-in USB port of this HP AMP wireless printer and speaker.